Contents: Five definitions of the braid group; The topology of Fn(C); The integral cohomology of the pure braid group; Generalizations of PBn and their cohomology; Transfer and twisted coefficients; Stability in the cohomology of braid groups; etc. This paper is a survey of knot theory and invariants of knots and links from the point of view of categories of diagrams. The topics range from foundations of knot theory to virtual knot theory and topological quantum field theory. The purpose of this paper is to give an introduction to virtual knot theory and to record a collection of research problems that the authors have found fascinating. The paper introduces the theory and discusses some problems in that context. This is an introductory article on high dimensional knots for the beginners. Is there a nontrivial high dimensional knot? We first answer this question. We explain local moves on high dimensional knots and the projections of high dimensional knots. This book is an introduction to the topological rigidity theorem for compact non-positively curved Riemannian manifolds. It contains a quick informal account of the background material from surgery theory and controlled topology prerequesite. These notes contain: The elementary theory of finite polyhedra in real vector spaces; A theory of 'general position' (approximation of maps), based on 'non-degeneracy'. A theory of 'regular neighbourhoods' in arbitrary polyhedra; etc. The book gathers together the main strands of the theory of ends of manifolds from the last thirty years and presents a unified and coherent treatment of them. It also contains authoritative expositions of mapping tori and telescopes. In 1970, Sullivan circulated this set of notes introducing localization and completion of topological spaces to homotopy theory, and other important concepts. The notes remain worth reading for the fresh picture they provide for geometric topology. The Hauptvermutung is the conjecture that any two triangulations of a polyhedron are combinatorially equivalent. This conjecture was formulated at the turn of the century, and until its resolution was a central problem of topology. Homology manifolds were developed in the 20th century to give a precise setting for Poincare's ideas on duality. They are investigated using algebraic and geometric methods. This volume is the proceedings of a workshop held in 2003. This is the first treatment of the applications of the lower K- and L-groups to the topology of manifolds such as Euclidean spaces, via Whitehead torsion and the Wall finiteness and surgery obstructions. Only elementary constructions are used. This book represents an attempt to collect and systematize the methods and main applications of the method of surgery, insofar as compact (but not necessarily connected, simply connected or closed) manifolds are involved. Surgery theory is the standard method for the classification of high-dimensional manifolds, where high means 5 or more. This book aims to be an entry point to surgery theory for a reader who already has some background in topology. Assuming no previous acquaintance with surgery theory and justifying all the algebraic concepts used by their relevance to topology, Dr Ranicki explains the applications of quadratic forms to the classification of topological manifolds. 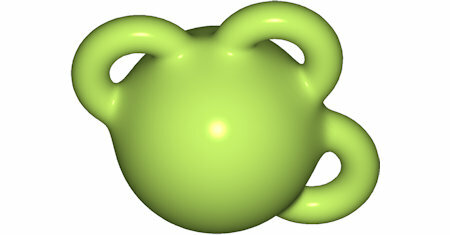 The elliptic 3-manifolds are the closed 3-manifolds that admit a Riemannian metric of constant positive curvature. For any elliptic 3-manifold M, the inclusion from the isometry group of M to the diffeomorphism group of M is a homotopy equivalence. This paper is an exposition of the new subject of String Topology. We present an introduction to this exciting new area, as well as a survey of some of the latest developments, and our views about future directions of research. The goal of the book is to characterize algebraically the closed 4-manifolds that fibre nontrivially or admit geometries in the sense of Thurston, or which are obtained by surgery on 2-knots, and to provide a reference for the topology of such knots. Our goal in this book is to explain as many important theorems, examples, and techniques as possible, as quickly and directly as possible, while at the same time giving (nearly) full details and keeping the text (nearly) selfcontained. This book is an introduction to knot theory and to Witten's approach to knot theory via his functional integral. Contents: Topics in combinatorial knot theory; State Models and State Summations; Vassiliev Invariants and Witten's Functional Integral. An introduction to the most frequently used techniques in modern global geometry. Suited to the beginning graduate student, the necessary prerequisite is a good knowledge of several variables calculus, linear algebra and point-set topology. Browder-Novikov-Sullivan-Wall surgery theory investigates the homotopy types of manifolds, using a combination of algebra and topology. It is the aim of these notes to provide an introduction to the more algebraic aspects of the theory. The book gives an exposition of the 'pseudo-Anosov' theory of foliations of 3-manifolds. This theory generalizes Thurston's theory of surface automorphisms, and reveals an intimate connection between dynamics, geometry and topology in 3 dimensions. This is a textbook on differential forms. The primary target audience is sophomore level undergraduates enrolled in a course in vector calculus. Later chapters will be of interest to advanced undergraduate and beginning graduate students. The theme of this book is infinite loop space theory and its multiplicative elaboration. The main goal is a complete analysis of the relationship between the classifying spaces of geometric topology and the infinite loop spaces of algebraic K-theory. An introduction to the theory of finite type (Vassiliev) knot invariants, with a stress on its combinatorial aspects. Written for readers with no background in this area, and we care more about the basic notions than about more advanced material. The book present original research on a wide range of topics in modern topology: the algebraic K-theory of spaces, the algebraic obstructions to surgery and finiteness, geometric and chain complexes, characteristic classes, and transformation groups. This is an innovative project by a group of Yale undergraduates: A Multi-Disciplinary Exploration of Non-Orientable Surfaces. The course is designed to be included as a short segment in a late middle school or early high school math course. This book is an introduction to high-dimensional knot theory. It uses surgery theory to provide a systematic exposition, and it serves as an introduction to algebraic surgery theory, using high-dimensional knots as the geometric motivation. Geometry of Surfaces by Nigel Hitchin is a textbook on surfaces. However the author is also going to try and consider surfaces intrinsically, or abstractly, and not necessarily embedded in three-dimensional Euclidean space. The text describes the connection between geometry and lowdimensional topology, it is useful to graduate students and mathematicians working in related fields, particularly 3-manifolds and Kleinian groups. Much of the material or technique is new. These pages are really just an early draft of the initial chapters of a real book on 3-manifolds. The text does contain a few things that aren't readily available elsewhere, like the Jaco-Shalen/Johannson torus decomposition theorem.